The anime I have here is possibly what I’ll keep covering in Lightning Rounds from here on out but it’s obviously subject to change until the midseason rolls in. My original plan was to walk away from covering more of My Roommate is a Cat but after this particular feels train, I’m reconsidering. For once, I kind of wish we didn’t get to see things play out from Haru’s perspective. It does make for a nice reprieve from the emotional climax but something about seeing the ghosts of Subaru’s parents just felt weird. It still hits real hard though when Subaru finds his mother’s albums and realizes how much he wishes he spent more time with his parents. 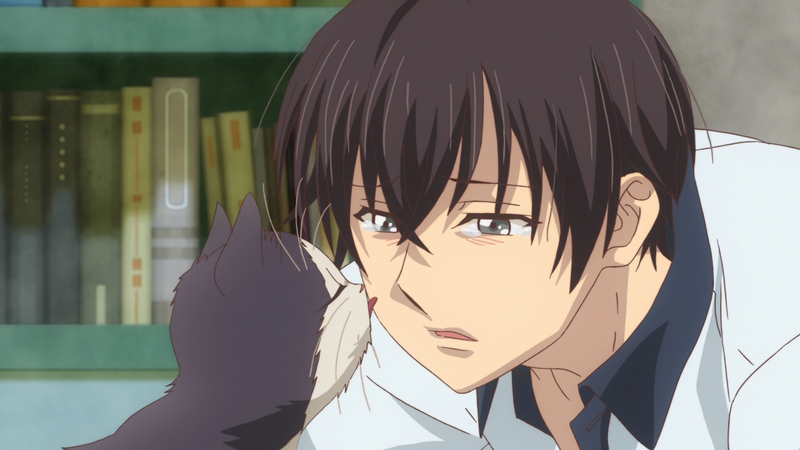 Haru comforting him, even when she doesn’t know why he’s sad, is also a strong showcase of what kind of effect having a pet can have on your life. 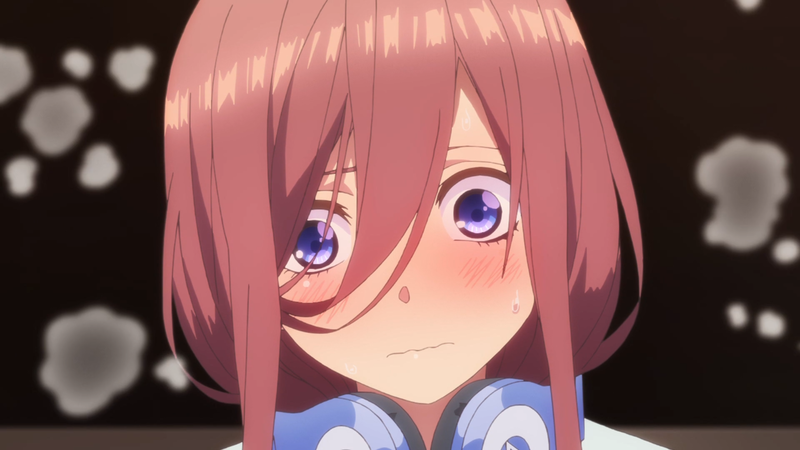 I dare the other girls in The Quintessential Quintuplets to compete for Best Girl. Miku is seriously killing it in every scene she’s in. It is especially great seeing her stick by Fuutarou while still being a little hesitant to admit she likes him. As for Nino, I must admit that a lot of my enjoyment with this series gets sapped because of her. She is just not the kind of character I generally like. I sympathize a little with her wish to keep the family together but surely, she could be way less rude to Fuutarou. The guy needs to keep his sister fed damn it. That said, I actually respect the decision to have Nino remain an enemy after this episode ends. I assumed the format was going to be earning the girls’ trust one at a time so it’s reassuring to see that this goal still isn’t that easily obtained. The Price of Smiles returns to Yuuki’s side of the story and boy, they really want this princess to suffer, huh? The ending where her effort to get some civilians evacuated fails miserably is just cruel. 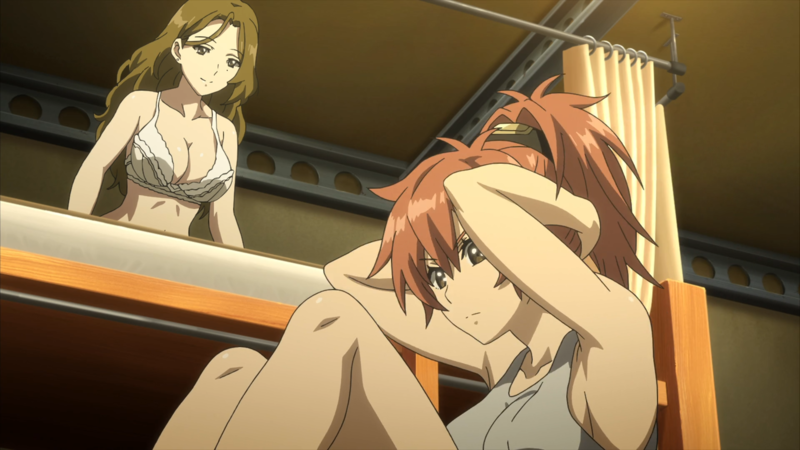 Whereas Stella seems too used to war, Yuuki seems to be learning how awful war is the hard way. Maybe all of her advisers shouldn’t have kept her in the dark but then again, there’s considerable risk with involving a young child in such a huge conflict. No matter how I look at it, there was no ideal approach with what to do with Yuuki while the war rages on. By the way, I’m really liking Yumiri Hanamori as Yuuki. It’s nice to know she’s been landing some main roles after voicing Nadeshiko in Laid-Back Camp. I think she’s doing a solid job capturing Yuuki’s frustrations and despair, especially with the amount of crying and screaming she’s directed to do. Some screentime is also devoted to Layla. Her flashback elaborates greatly on the show’s backstory and I really like the surrogate mother-daughter relationship between her and Yuuki. Most curiously however is the possibility that Stella is actually Layla’s daughter who is presumed deceased from the terrorists’ attack. You see Layla’s daughter with a holographic fish bowl akin to the one Stella has and at one point, Layla almost says a name that begins with “st-” when she checks the rubble for bodies. All I have to wonder then is how did Stella end up with the empire…and how did she survive falling debris in the first place? The Hero’s Party finally get to embark on quests as part of their practicum (that’s actually a thing they need to do) but instead of anything grand, they keep getting the mundane task of finding a lost cat. It’s a pretty funny plot made even funnier when the group does get a legitimate fetch quest only to then help a young girl find her lost cat instead. And oddly enough, they end up going on a grand adventure anyway complete with monsters to fight and a dungeon to explore. I guess the message there is that one doesn’t simply look for adventure but rather the adventure simply comes to them. Whatever the case, it made for a really enjoyable episode. There’s a lot of other great gags throughout the episode. My favorite one is Seira revealing that she has a bow but refrains from using it. It didn’t occur to me until now that her using a hammer is pretty atypical for an elvish character. The fact that she doesn’t like to use it because her eyesight is bad and she’s embarrassed to put on her glasses is so quirky that I couldn’t help but find it really funny. So far with The Magnificent Kotobuki, it’s been largely just weekly set-ups for the dogfight with some characterization sprinkled in. Ideally, I’d rather it be the inverse though to be fair, the backdrop of the week is kind of amazing. Basically, sky pirates try to trick the mayor of the town into trading his fancy plane for a bootlegged painting and while the mayor somehow almost buys into the con, he declines and the pirates threaten to retaliate with force. It’s silly and I love it because it’s silly, what with the mayor’s incompetence in taking initiative and the Kotobuki squad looking so bewildered at his thought process. Emma particularly shines in this episode when she gives the mayor a piece of her mind. Maybe she has a rough history with politics or maybe she’s just a person of integrity. Either way, she walks out of that scene like a boss. 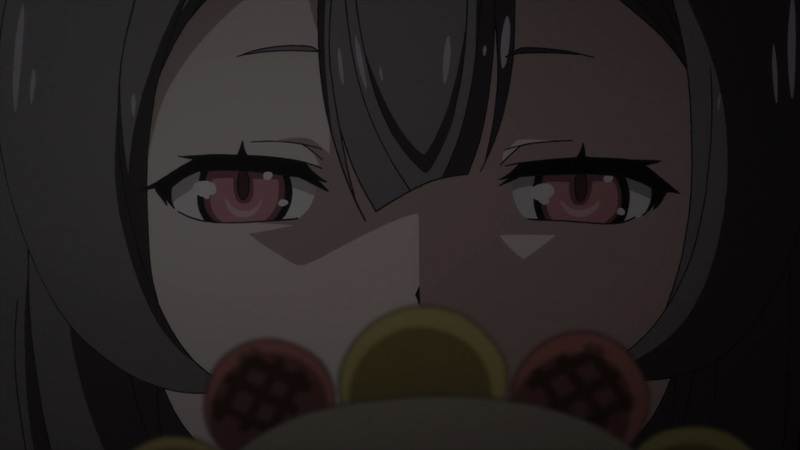 If we get more weird scenarios such as the one in Episode 3 then I’d say Kotobuki is free to stay on the watch list. 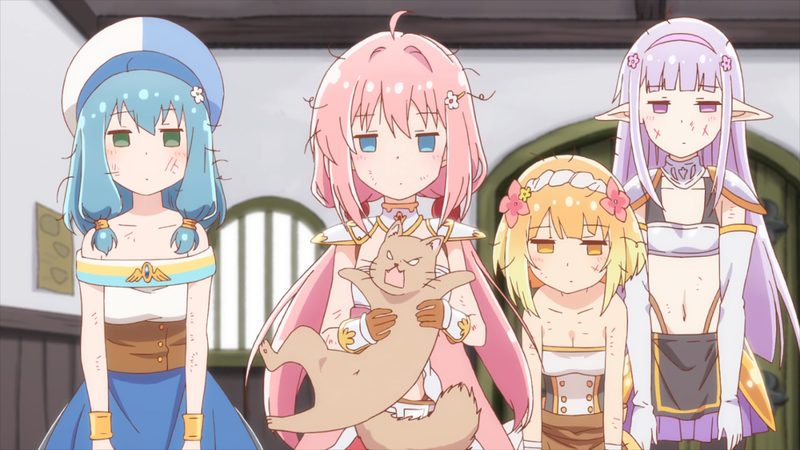 This entry was posted in Anime, Episode Reviews, Lightning Rounds and tagged Adventure, Anime, CGDCT, Comedy, Cute Girls Doing Cute Things, Doukyonin wa Hiza tokidoki Atama no Ue, Egao no Daika, Endro!, Episode Reviews, Fantasy, GEMBA, Gotoubun no Hanayome, Harem, Kouya no Kotobuki Hikoutai, Lightning Round, Magic, Mecha, Military, My Roomate is a Cat, Pet Cat, Romance, Sci-Fi, Slice of Life, Tatsunoko, The Magnificent Kotobuki, The Price of Smiles, The Quintessential Quintuplets, WAO World, Zero-G. Bookmark the permalink.